To see the spectacular canyon country of the great American Southwest presents a real time, dollar, and distance dilemma. The many wonderful canyons are so far flung across the wide open spaces of – mostly – Utah and Arizona, they are just not that easy or affordable to reach. 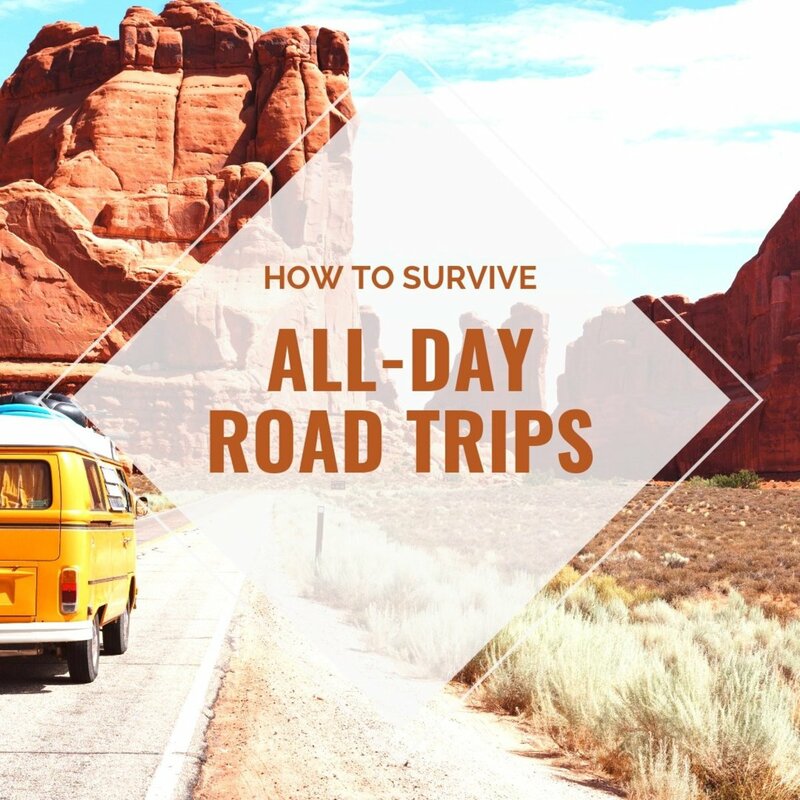 But there is a solution that can take as little as five days of precious vacation, minimize drive time, and give you an unforgettable experience. The solution? 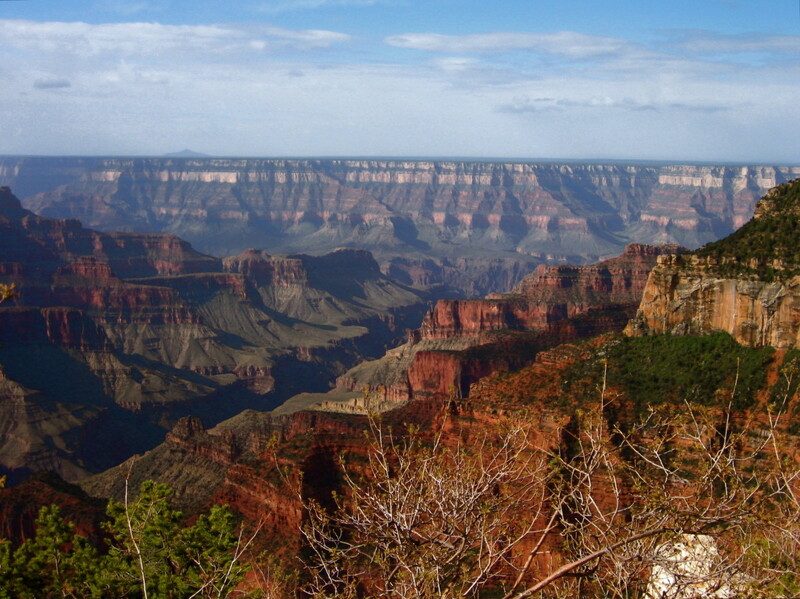 Visit the trifecta of the great canyon national parks in the United States: Grand Canyon (North Rim), Bryce, and Zion. You will be awed by how spectacular – and yet how different – each one of these canyons is, in its own right. You may, as I did, declare "this one!" to be your favorite…until you see the next one and come away wondering how you could ever pick just one. 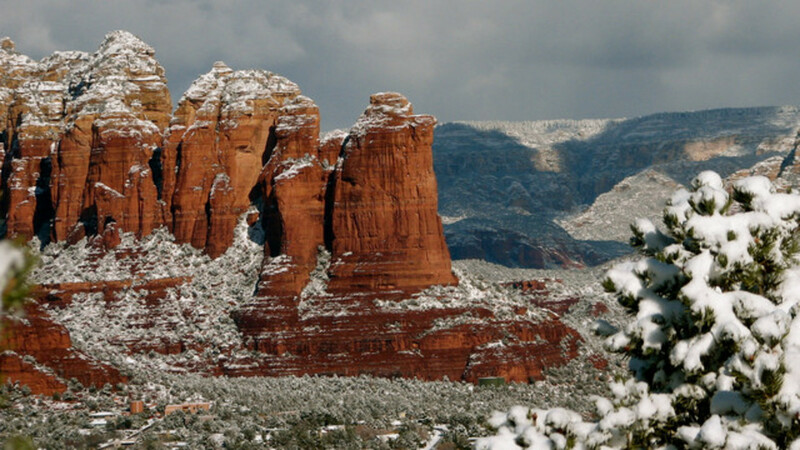 Visit these three and you may have simply whetted your appetite to see more canyons, but you can be satisfied that you have seen the carefully chosen best representatives of American canyon country. 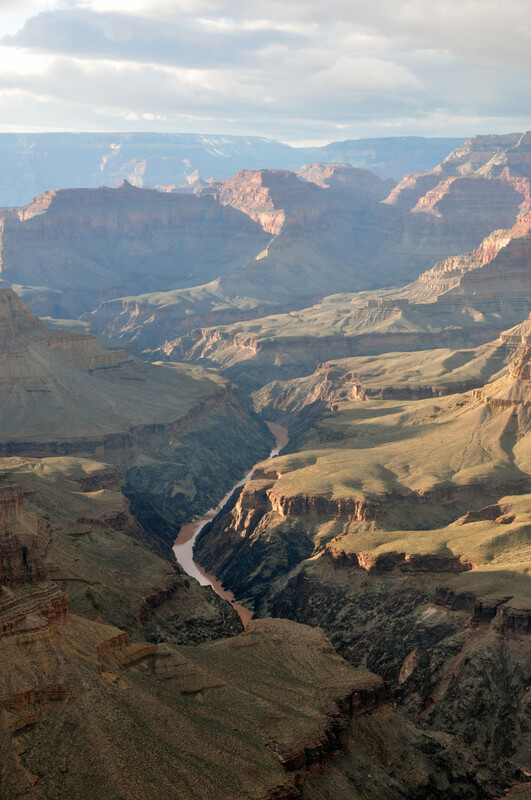 The Grand Canyon is, of course, the granddaddy of all canyons. 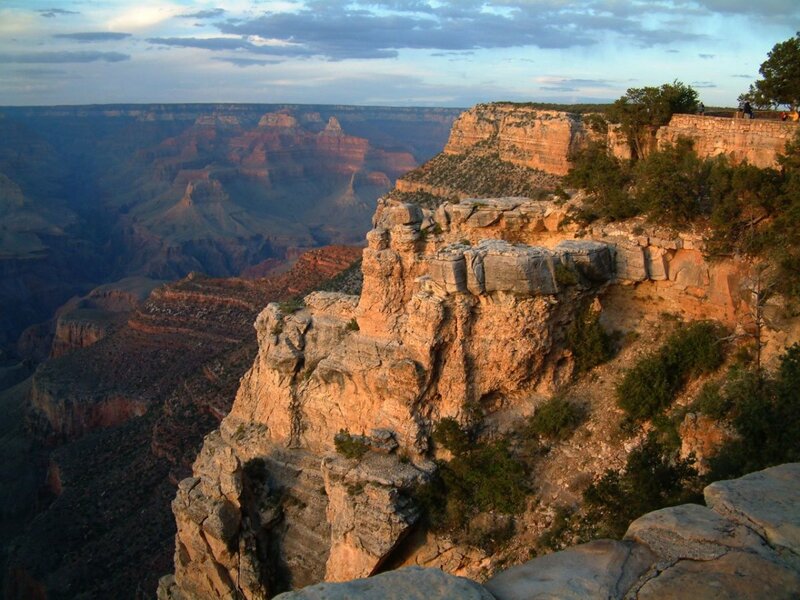 But most people don’t know that, unless they have younger children who need more commercial offerings to be entertained, the North Rim is superior to the South Rim. Superior, that is, if you like more nature and less tourist traffic. Only about 10% of the number of people who visit the traditional South Rim, take the out-of-the way road trip to the higher elevation (by close to a 1,000 feet) North Rim. They are rewarded, however, with fewer humans and more natural solitude, even more spectacular scenic beauty (three developed viewpoints showcase the canyon’s expansive vistas, rather than just the canyon depths), and a wonderful park lodge built in the 1920s and 30's. Grand Canyon North Rim, Bryce, Zion, and more. The State of Utah offers excellent information on the Grand Canyon North Rim, Bryce, and Zion Canyons including guides, lodging, and trails. The National Park Service provides guides to each park to help you plan your trip including accommodations, transportation, sights, and activities based on your time and interests. Bryce Canyon is one of America’s best kept travel secrets for its knock-your-socks-off gorgeous vistas. Generating nowhere near the attention of Grand Canyon or Zion National Parks, Bryce will make you breathless with its mysterious, haunting beauty, and it may well win your heart as your favorite canyon. 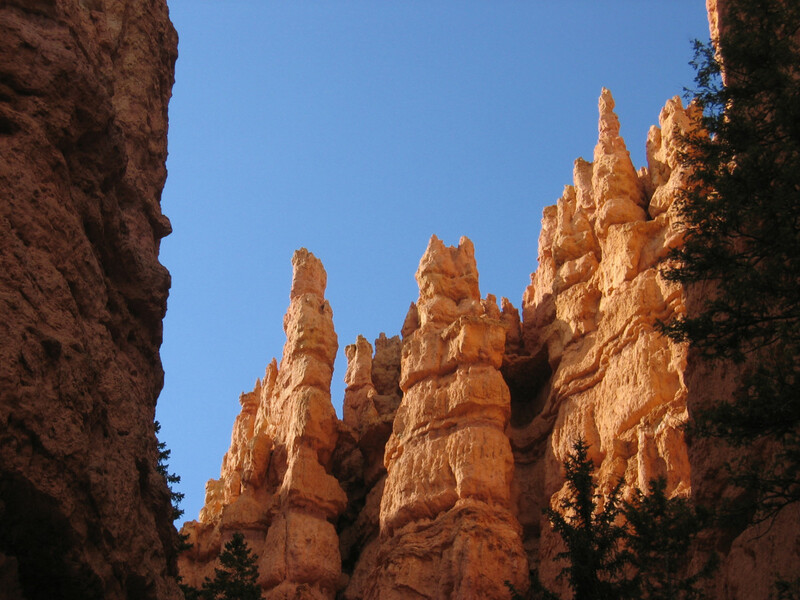 At Bryce, it’s all about the “hoodoos” as they’re called. They almost seem like otherworldly beings – immigrants or warrior spirits, throngs or hoards of them. Best viewed from the scenic drive along the edge of the canyon rim, hoodoos are thousands and thousands of crowded spires – tall and thin, delicately-colored pinks and oranges – rising up to 3,000 feet from the canyon floor. Zion Canyon is lovely, delicate, and intimate compared to the grandeur of the Grand Canyon and the stunning beauty of Bryce Canyon. Unlike those two, Zion is generally viewed from the floor of the canyon where the lodge is located. Walking along the Virgin River, you are surrounded by massive granite cliffs of red and white rock. 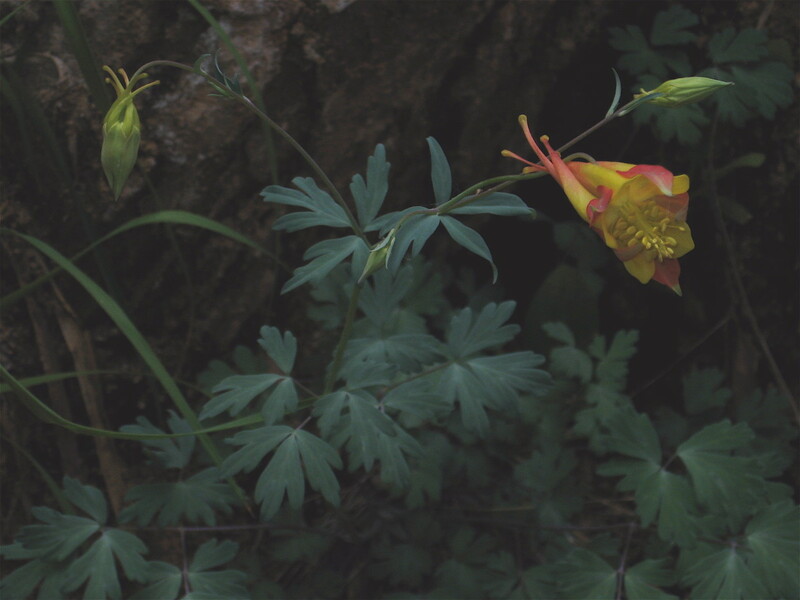 Beautiful, accessible paths and trails lead you through delicate meadows to discover weeping rocks and hanging gardens around every corner. Zion is popular, and here there will be people, lots of them, but no cars! at least during the summer. The use of shuttles, which leave frequently from the lodge and other stops, limits congestion (and fumes) and will take you to starting points for walks and hikes while you listen to drivers who really know the history, flora, and fauna of the canyon. To combine these three canyons, you must travel from mid-May to mid-October. Even though Bryce and Zion are open year-round, the road to the Grand Canyon North Rim is closed and the lodge is locked up in October or when the first big snow flies, and it doesn't open again until mid-May. Even so, when we stayed at the Lodge on May 22nd, it snowed about an inch the day we drove in, and the road was icy! The other determinant to when you take this trip is getting those lodge reservations. The lodges are very popular and fill up quickly, so you may have to make reservations up to a year in advance. Priority One: Stay at the Lodges inside the National Parks! Unless you're a die-hard hiker or camper (see Activity Level, below), this is where you want to be to fully experience the parks, of which the lodges are a key part. 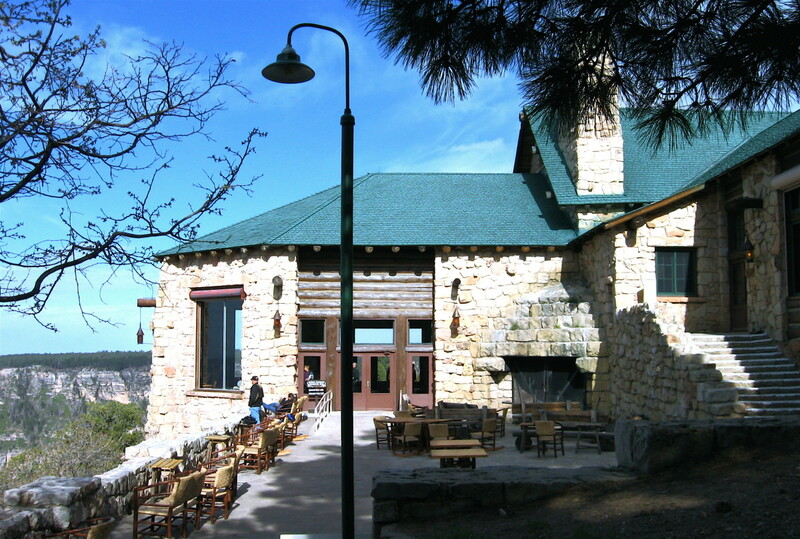 Make your reservations at the Grand Canyon Lodge on the North Rim, the Zion Canyon Lodge and the Bryce Canyon Lodge. Reservations can be made up to 13 months in advance, year round, and rooms and cabins sell out quickly in the summer months. Plan ahead to get the dates you want and to make your schedule work for all three parks! Rates must be approved by the National Park Service, which seems to give added assurance of a good value. Caveat! Be sure to get the real deal - the genuine historic lodges. 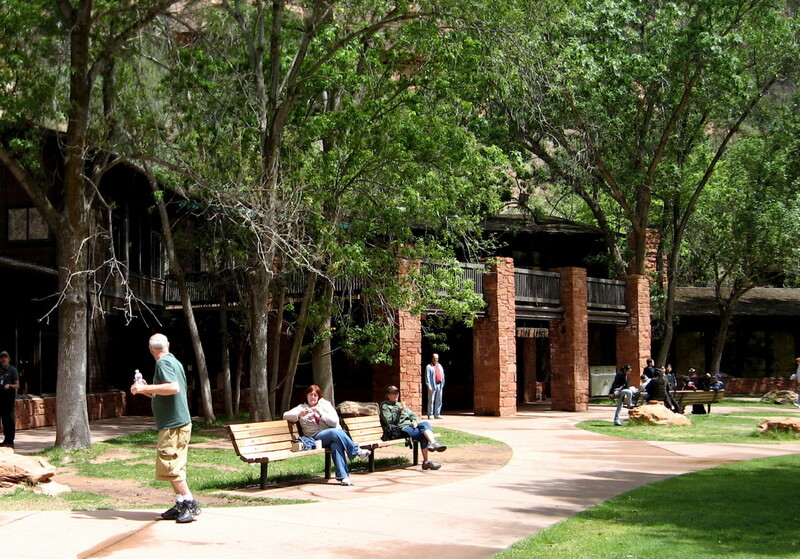 Grand Canyon is operated by Forever Resorts and Bryce and Zion are operated by Xanterra. Grand Canyon Lodge - North Rim in Grand Canyon National Park, Arizona. 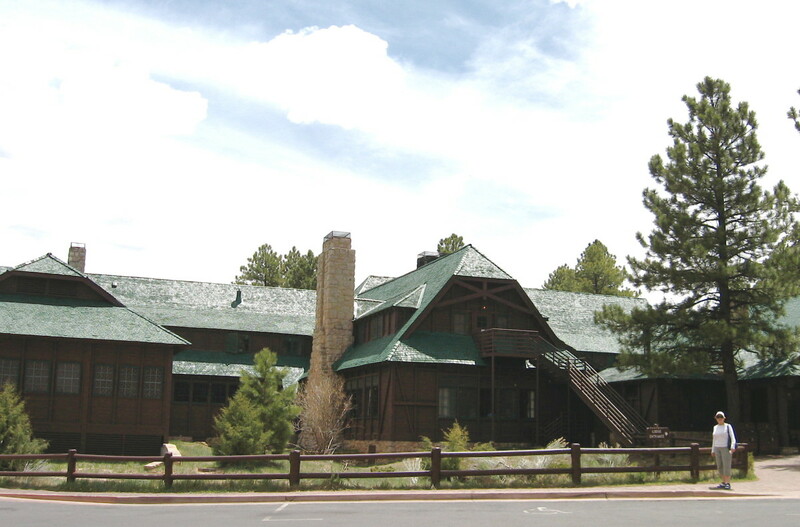 This is the only lodging on the North Rim of the park and offers lodging, dining, shopping, and activities. Reservations with Xanterra Parks & Resorts. Managers of Yellowstone, Grand Canyon, Bryce, Zion, Mount Rushmore, and many more national and state parks. OK. Now you've got your genuine lodge reservations. Start your trip by getting to Las Vegas. Las Vegas is the closest major destination to the three canyons and has many options for arriving by plane, train, or bus. From Las Vegas, drive on I-15 N to Highway 89, take 89 into Kanab, then on further south to Highway 67, which dead ends at the North Rim. This route to the Grand Canyon North Rim is a five to six hour drive that just gets lovelier and lovelier. For the first few hours, you might be happier listening to books on tape until you get to the "good stuff." Yet, I found the strange Nevada and Utah landscapes compelling to watch. 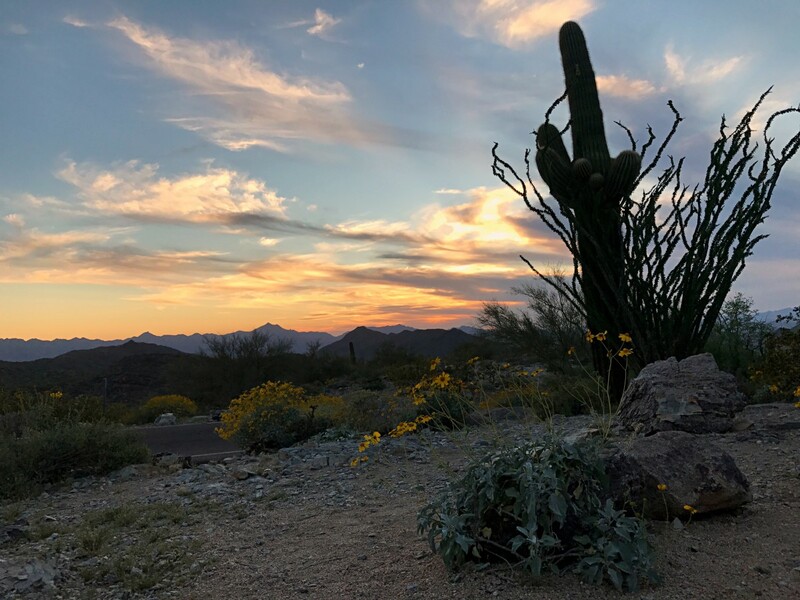 But although the views are fascinating in their own right, it is hard to call them beautiful compared to the sights you will soon be seeing at the canyons. Eventually, you will be doubling back on the same road, so you still might want to bring books on tape, just in case, for that couple hour stretch each way, into and out of Las Vegas. 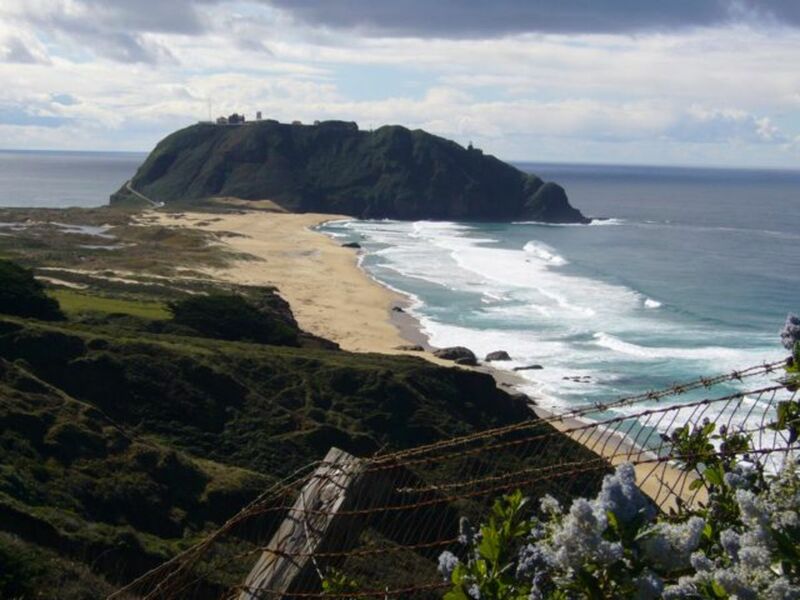 For the rest of the time, you will want to concentrate on the gorgeous views around you. 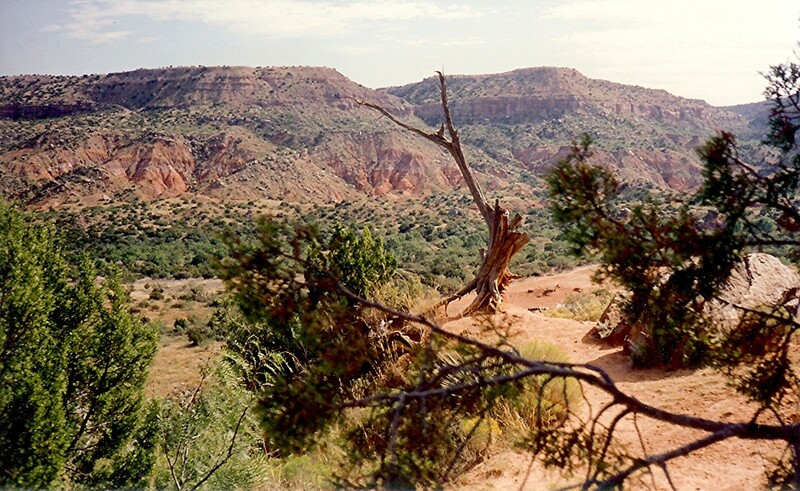 Once you get to Kanab, you are just 80 miles from the North Rim of the Canyon, which sits at the end of Highway 67. The drive is spectacular. Keep your eyes on the rearview mirror. Those brilliant hills, a favorite for photographers, are called Vermillion Cliffs for a very good reason. 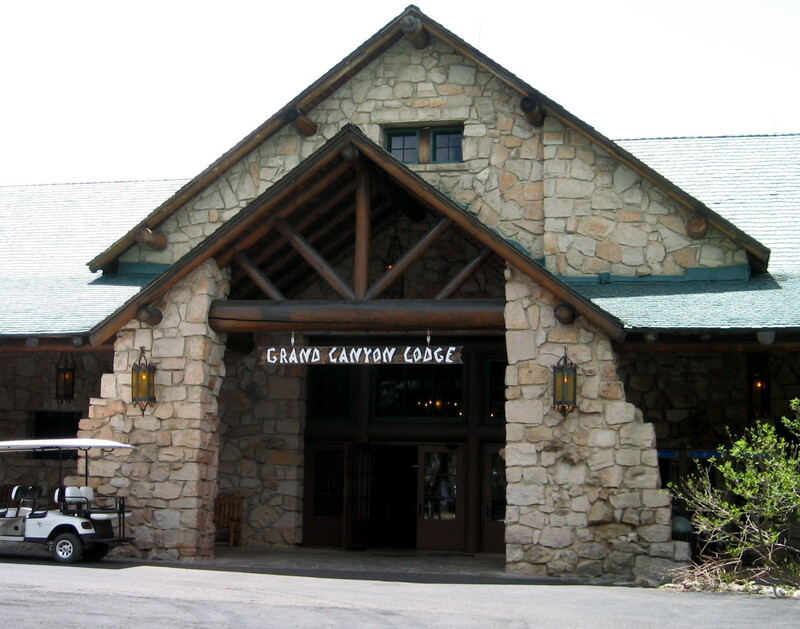 Stay at the Grand Canyon Lodge more than one night if you can. In fact, a week would be lovely. Of the three lodges, this one is the best. To my mind, it rates right up there with Yellowstone Inn, which is the queen of national park lodges. Next, on to Bryce. Go back up to Kanab, then take Highway 89 to UT-12, and you'll be in Bryce in less than two hours. One night might be enough at Bryce if you're pressed for time. Save more nights for Zion, one or two. It's just such a lovely place to plant yourself and relax and enjoy – or gear up if that's what you want. Much more social than the North Rim in my experience, it's an interesting place to meet friendly, new people. To reach Zion from Bryce will take you about two hours. Retrace your route back down Highway 89. 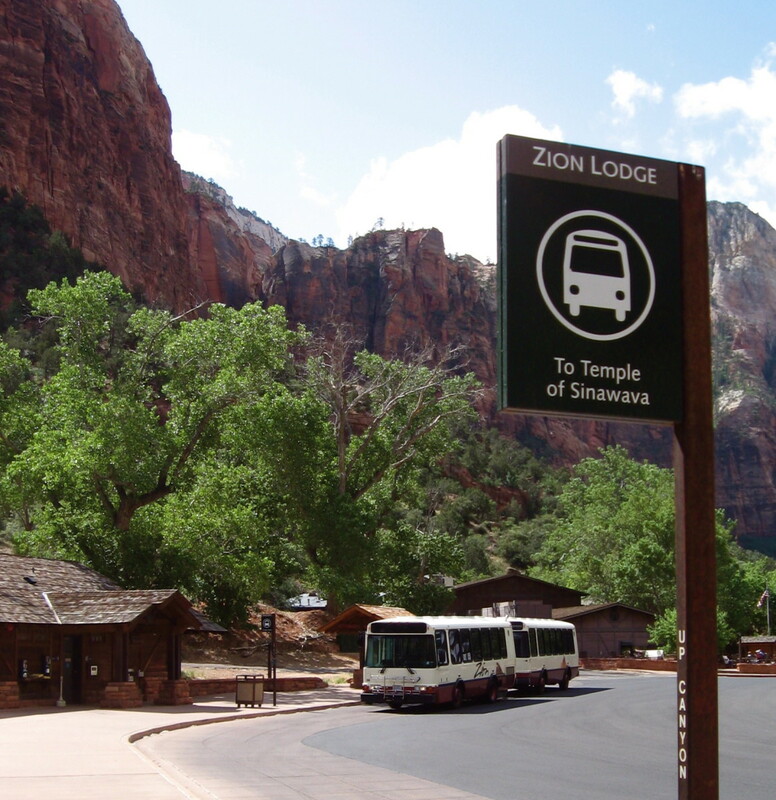 Take UT-9 for a scenic 25-mile drive that features the marvelous Zion-Mt. Carmel Tunnel. To return to Las Vegas, continue west on UT-9 to reach I-15 South for a mere two-and-a-half hour drive. A note about the order of the route: I put the hard driving at the beginning of the trip, from Las Vegas to the North Rim, when you're typically the most excited and have more energy. Then at the end, you'll have half the driving time to get back to Las Vegas. Bright Angel Point - Like a sidewalk to heaven, this little half-mile trail (wheelchair accessible and with protective metal railings) takes you to a glorious view that may be the best on either side of the Grand Canyon. Ride a Mule. Sure, ride to the bottom if that's your desire, but at least ride a mule along the canyon rim. You're not likely to ever forget it, and this little journey is quite sufficient for a truly wonderful "I did it!" Walk down off the canyon rim for a close encounter with the hoodoos. There are numerous trails running down off the main road. A short walk, and you'll be surrounded by magical hoodoos. Watch a sunrise or sunset at Bryce Amphitheater. Favorite spots are Sunrise, Sunset, Inspiration, and Bryce Points. Drive (or take the shuttle) along the plateau rim the entire length of the 18-mile main road. Stop at all the turnouts. All the views are different and spectacular, but Bryce Amphitheater is a must-see. Ride the shuttles. Not only will they get you to the starting point of many trails and walks, they are an experience in themselves. For a general introduction to the park, the drivers are wonderfully knowledgeable and entertaining. We rode several times just to meet different drivers and hear their presentations. At the Temple of Sinawava, take the Riverside Walk. It's an easy two-mile, one-hour leisurely walk. If you're more ambitious, hike the The Narrows as well. Stop at Weeping Rock on the shuttle ride back. 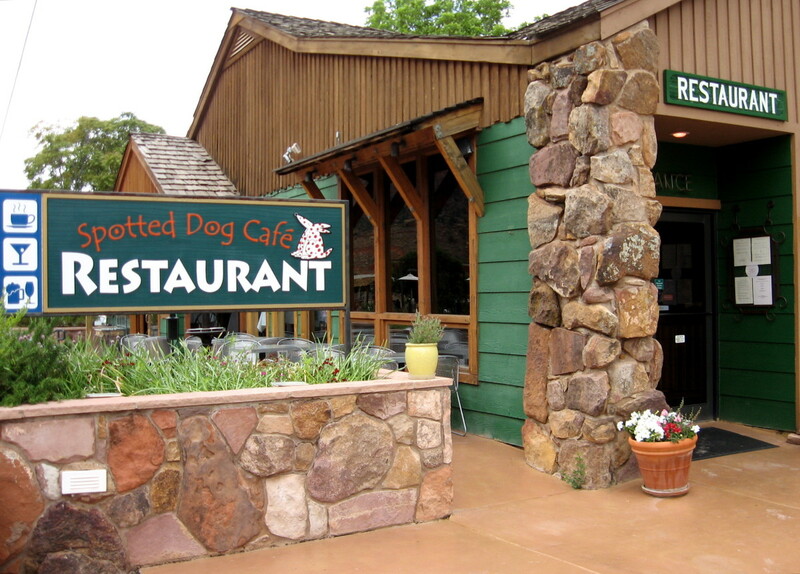 Eat at the Spotted Dog Cafe. OK, I know there are better things to do at Zion than eat, but we totally enjoyed the gourmet, Western-style cooking. I'm sure it had nothing to do with a celebrity sighting of fellow diner, Gunnar Nelson (son of Ricky) and his entourage, in full hog-riding regalia! All three of the canyons can be enjoyed at a range of activity levels. The passive tourist as well as the wheelchair bound will do just fine at all three, enjoying the view from lodge, car, or shuttle with minimal effort. That said, serious hikers, campers, and rock climbers will find plenty to keep them challenged. I've been to the Grand Canyon a decade ago and in winter. So I know what spots you've mention in this great hub. No riding mules down the trail hub. Lovely spotlights of the other scenic parks as well. Thanks, Greg. It's nice to be able to share similar experiences. Thanks for the link, JSParker - sorry I was remiss in expressing that earlier. Great hub on a wonderful trip! Romano, thanks for your comment. I understand about dream-travel, I've had longing for the road all my life. And you're right, you can't beat the rocks at these three canyons anywhere in the U.S.A., anyway. Best wishes. That's my dream-travel. Back here in the Philippines, I'm always fascinated with rock formation, resembling like Grand Canyon. Thanks, Peggy W, and I, too, would love to go back and visit them again. Thanks for your comments and welcome. I'll check out your canyon pieces, too. 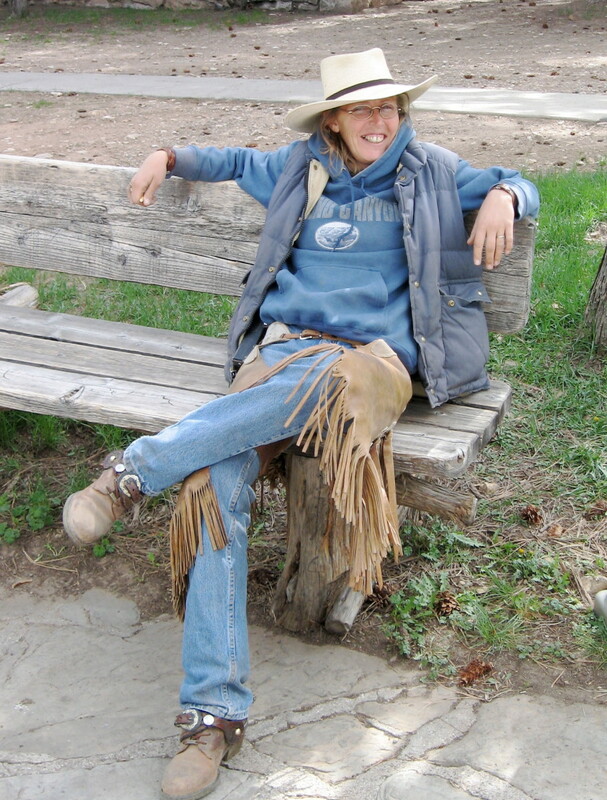 carolp, the Rocky Mountain and the Grand Canyon are quite a long distance apart, so that could be a good trip to take in an RV. I know the Rockies mostly from Colorado, where I used to live. Happy travels. Thanks for stopping by! It is my dream to visit Grand Canyon...i am so facinated with the rocky mountains and the nature around. We might travel with an RV, hope soon.Thanks for sharing. Wonderful introduction to these wonderful U.S. National Parks. I love visiting them and have written about several of them including these. A well deserved Hubnugget nomination! Welcome to HubPages and keep up the good work! Up and useful votes! Will look forward to more of your travel hubs. Thanks for the follow, mib. Hi Stephanie, nice to see you again. Glad the hub was useful and thanks for the votes! It's fun to hear from people who have been to the canyons and already know what I'm talking about. Plus, I'm really impressed with people who have lived full time in an RV. At least I got a 30-day stretch in. Loved it. Take care. Placed a link to your HUB following my HUB and now I am following your HUBs. This is great advice for seeing these beautiful National Parks! I like your must do lists as those with limited time will definitely want to hit the highlights. As we visited these places while full-timing in our RV, we were able to see each park at our leisure. Very nice hub, well written and well organized. Voted up and useful! Patty - always an honor to see you! You bet'cha. Detroit is HOT and very cool at the same time. We also export things you can't get anyplace else. Cheers! Detroit has good writers - Up Detroit! savoir faire - Sorry for my slow response! I've been getting huge amounts of email since my HubNuggets nomination. How fun is that? Thank you for the compliment. I agree...this HubPages idea is pretty amazing. Yes, it's about writing and improving one's writing, but it's also about building relationships and mutual support, and networking! ripplemaker - Thank you for your comment! The Grand Canyon should be on everyone's "bucket list". I hope you do visit ...it's an experience of a lifetime. Good luck! BethanRose - Thanks for stopping by and commenting. I glad the hub increased your interest in traveling. I would love to visit the Grand Canyon someday and stay in one of those lodges. It looks so nice. It would be an experience to remember I am sure. I love the way you answer people commenting on your hubs. It makes the reading and reacting so personal and enjoyable. What a great network of readers and writers. Virginia - Thank you so much for your comments. I’m humbled that this hub may influence folks like you in making travel decisions. I do think the canyons and other National Parks of the USA are overlooked (as crowded as they are!) by many people who think of traveling first to Europe rather than our own beautiful country. Happy travels! 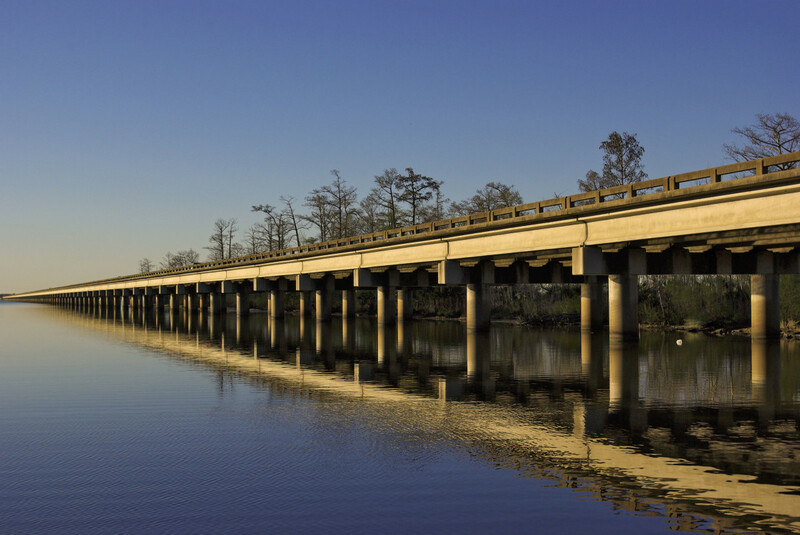 The heavy traffic at some sites is why we like to travel off-season. Or “shoulder”, I think it’s called. Late April, early May, and October are my favorite times. Not only is there less traffic, but the weather is cooler. My sister recently took a winter trip to Yellowstone and had a ball. The disadvantage, of course, is that some attractions may not be open. But I know what you mean. By the time I finally made it to Cozumel and Cancun in Mexico, and Negril in Jamaica, for example, what had once been exotic and new, was a well-established (and well-worn) travel base. Cokenut – I’m delighted to hear from you...all the way from Belgium! I hope you do come visit our beautiful sites here in the USA. I, on the other hand, would love to visit Belgium. Such extraordinary history and art! Best wishes to you. Thanks for stopping by my hub. Wow, I'm from the plain land of Belgium, we have no mountains or canyons, and seeing all these nice photo's really make me wanna hop on a plane to the USA and go see those canyons. Thanks! Congratulations on the hubnugget nomination. This is great guide for anyone who has never been to the Canyans before and would like to know what to expect. Thanks for the maps. The hoodoos remind me of totem poles. Congratulations on the Hubnugget nomination! You've taken the time to write a very detailed hub which really gives people the information they need to make a great trip. This is one of the vactions we plan to take with our five kids--we are from CA so took this trip with our families when we were young. I was not aware of the advantage of the North Rim. I'll definitely remember to come back to your hub when we make the trip! Gary, it's so nice to hear from you! Thanks for your comments. I'm thrilled that you would take my recommendation on the North Rim, because I know you are so well travelled yourself. 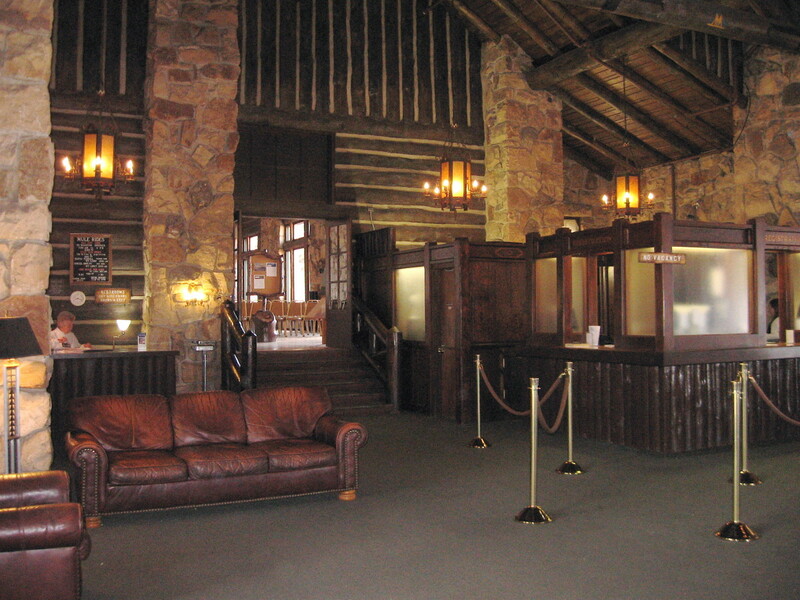 There are a few places I long to return to, and the Grand Canyon Lodge on the North Rim is definitely one of them. Happy trails! A very interesting, informative, and concise writing on an area I have visited. I have moved West and will take your writings, and suggestions with me on my next visit to each of those areas. I have not seen the North Rim but will do so this time around. Excellent writing in a clear, and easy to read way. Pia, I am grateful for your lovely compliment. It makes me happy and humble to think I might actually contribute to someone visiting these natural treasures as well as support our wonderful National Park system. Thank you so much for reading. Best regards. This is an incredible Hub! As Simone said, this Hub is an excellent travel guide. I am ashamed to say that I have not visited any of these places, and reading this Hub made me very determined to get to these gorgeous canyon lands someday. Simone, I'm honored by your visit and your lovely comment. I have done a fair amount of traveling to about a dozen countries and throughout most of our United States, and the canyons trip ranks very high in my experience. I hope you do see it sometime. What a fantastic travel guide! I must visit this area at some point- I've been close so many times, but have only driven by. Thanks for the great tips! savoirfaire - Thank you so much for your inspiring comments! Traveling and writing about places and experiences sounds like a dream job to me. I'm glad you sensed my enthusiasm for the canyons. They are extraordinary and among my favorite places on earth. By the way, welcome to HubPages. I see you're a newbie, too. I look forward to seeing your first Hub. Good luck! Dear JS: I loved your well organized and inspiring pieces on the canyons. You could certainly write travel articles for a newspaper or magazine. You outlined the trip very well, which could make so simple for others to visit. Your combination of information and enthusiasm made your article very enjoyable reading. You must take another interesting trip and write about it. Sima (Treasures of Heaven) - Thank you so much for your wonderful and inspiring comments! I am so excited about HubPages...the writing and the community. Also, if you haven't seen the canyons, I hope you can plan to do so someday. They are magnificent. Thanks! Awesome Hub and Welcome to HubPages! You have done a magnificient job with the Hub on the Canyons and your photos are excellent.